I love flan. Always have. When I was a little kid and we visited family in California, we always went to one particular Vietnamese bakery (that I still frequent). My parents and siblings and cousins would get the more exotic (to me, yucky) chè with beans or bananas or sweet rice and coconut milk, and I would get the delicious bánh flan. Its name makes zero sense to me now. In French it’s called Crème caramel, and the Vietnamese version obviously was born from the French colonization (which also brought us Bánh mì (yes I am going crazy with the wikipedia links today, thank you very much). Anyways, whatever you call it, the Vietnamese version has a few differences from the kind you’ll get in Latin America, Spain, or France. It’s significantly less eggy and more jello-like and smooth. I think it has more similarities to that delicious almond tofu jelly than to tres leches (which I think is more like the Spanish flan). 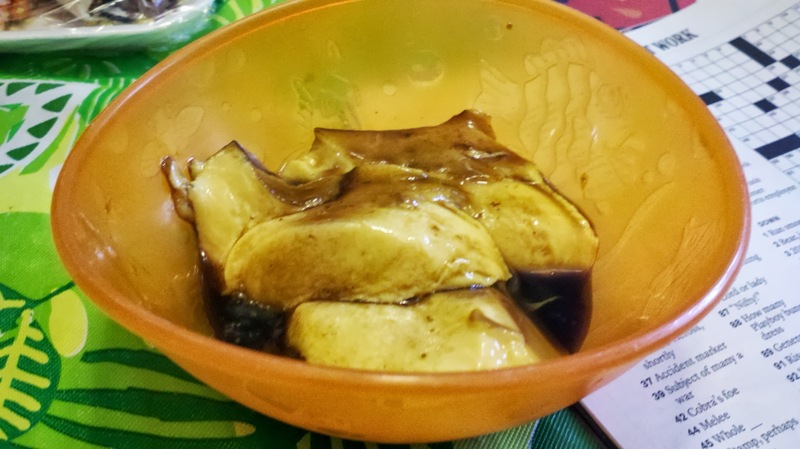 I’ve had plenty of homemade flan, but never the Vietnamese kind, despite many, many recipes on the internet (all of these words are a different link). So it probably would’ve made sense for me to try to make the homemade one when I was back in California visiting my family this last weekend. Especially with my mom there to help me. But instead, shame on me, I just grabbed a box from my sister-in-law’s pantry and made it from the mix. This stuff from the mix is like a cross between Mexican and Vietnamese flans I’ve had: not as cool-as-a-cucumber as the Vietnamese kind, nor as hug-me-from-the-inside as the Mexican kind (I don’t know if other people feel that way with the rich eggy dessert at their local taqueria but that’s how I feel). 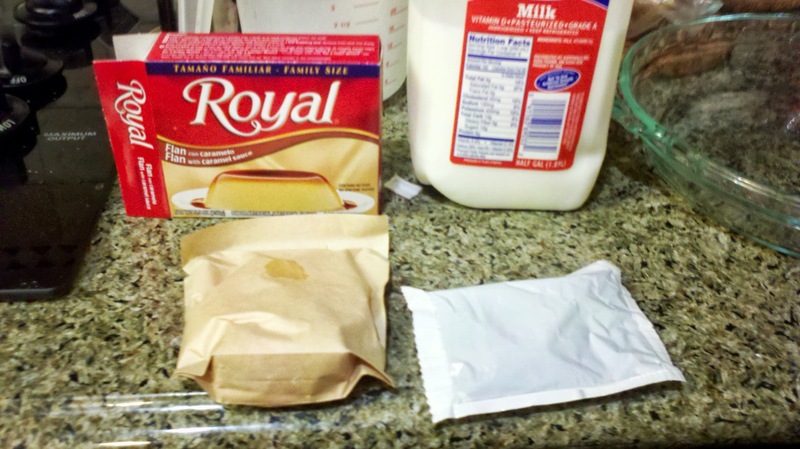 It’s also foolproof: note that it has two packets inside, the caramel sauce and the flan part. 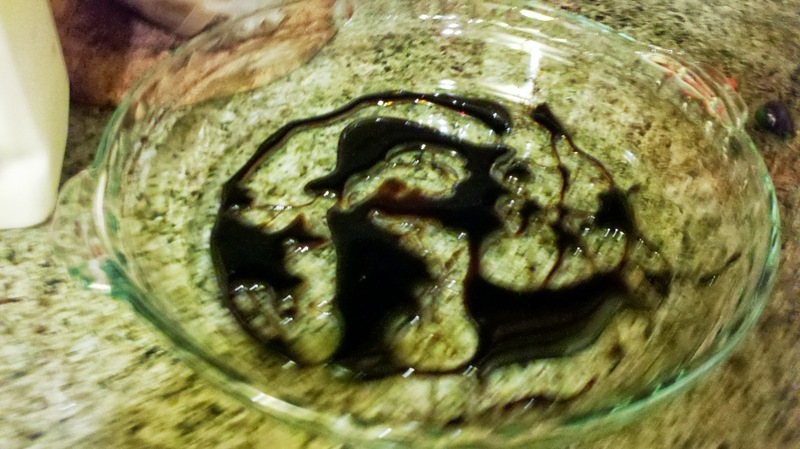 You drizzle the caramel sauce in the bottom of your container (either eight ramekins or one big thing). 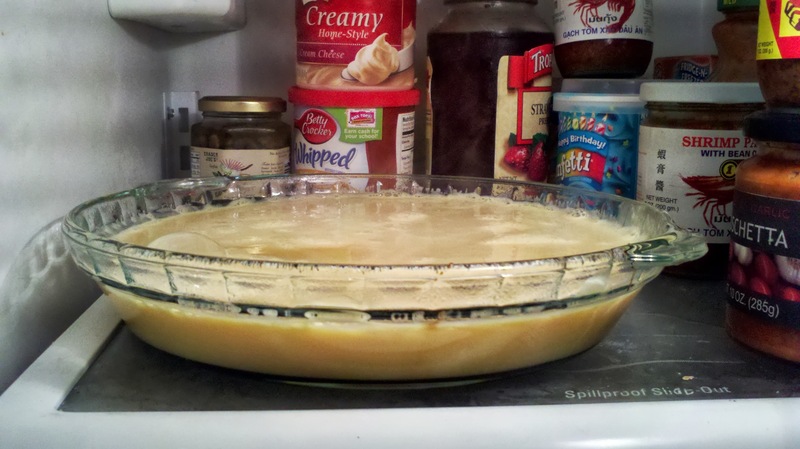 It doesn’t matter how terribly you do it, the heat from the flan mix will make the caramel spread out anyways. 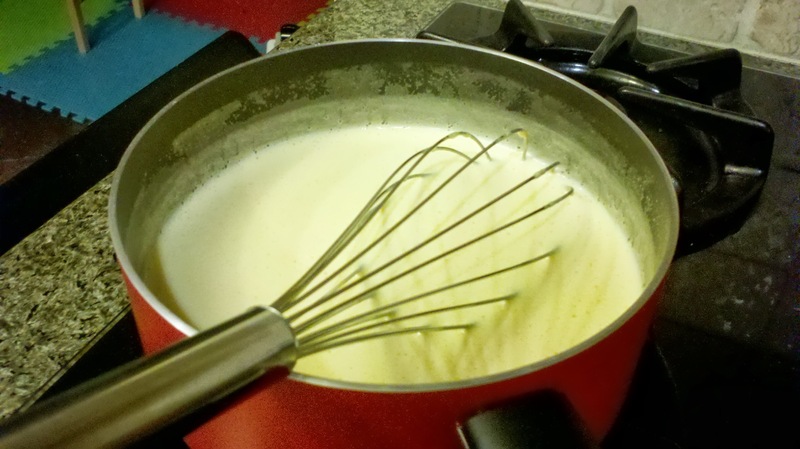 Then heat up your quart of milk while whisking in the flan mix. Stir it until it boils. Careful that it doesn’t boil over! Then pour it in your prepared pan and let it chill in the fridge for an hour. It’s prettier if you invert it on a plate, but if you’re just gonna eat it out of the container as you swig milk from the jug, just grab a spoon. I’m just kidding I don’t swig milk from the jug. Yeup, no frills and no excuses this time. I was just lazy. Shame on me. 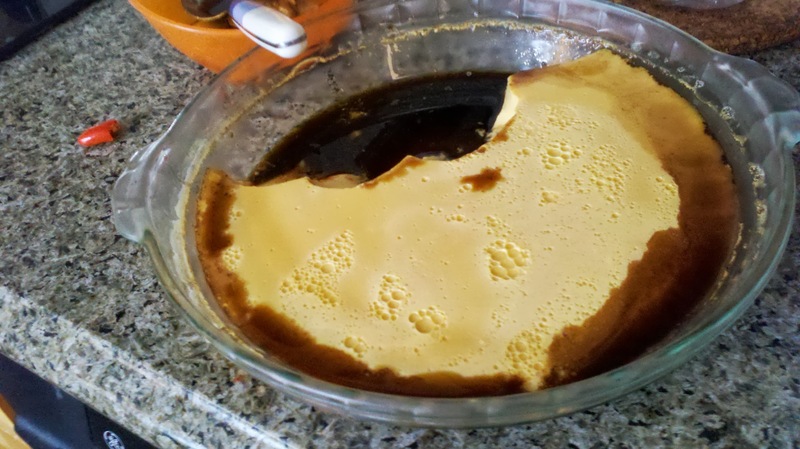 If you are do make a flan from scratch, send me your recipe/tell me and I’ll do it too. If not, Royal really is a good brand for this.